In 2015, our summer camp program was generously underwritten by Allstate Insurance Company, Sidley Austin, and 40 individual donors, as well as our partners at the Chicago Public Schools. Kicking off each debate season, the Chicago Debate Summer Institute (CDSI) is a two-week summer debate camp for high school students modeled on university debate institutes, with instructional staff recruited from leading local and national college debate programs as well as the Chicago Debate League’s (CDL) excellent coach resources. The Chicago Middle School Debate Institute (CMSDI) is a comparable camp for middle school students, with instructional design geared to younger students. Since the inception of the CDL in 1997, Chicago Debates has made high-quality pre-season debate training accessible to Chicago youth through the CDSI. Together, these two camps serve approximately 100-150 students from across the city. Importantly, we offer these camps with free tuition to low-income students. Chicago Debates provides training opportunities for students outside of their regular team practices. Through the course of the school year, student training workshops are offered in conjunction with our university partners. Workshops are held for half-days on Saturdays and taught by university debaters under the supervision of our staff. 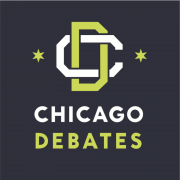 Each year the Chicago Debates creates and provides extensive materials on the national policy debate resolution for coaches and debate teams. These materials, called core files, enable students to “get on their feet” quickly at the beginning of the tournament season. Core files introduce the complex issues surrounding the debate resolution for the year, model high-quality debate argument structure, and demonstrate the proper use of evidence to refute opponents’ arguments. Most of our high school debaters, especially those at the varsity level, quickly move beyond the core files to conduct research and craft their own arguments on the national topic, using their learning from the core files as a model. To learn more about the current year’s resolution, view the core files, and see other instructional resources designed to help students become better competitive academic debaters, visit the CDL program website. Chicago Debates has ongoing relationships with universities offering summer debate camps. Each year, the Chicago Debates facilitates scholarships or discounts for CDL students to attend these summer debate institutes. Chicago Debates has a particularly robust partnership with Northwestern University’s prestigious summer debate institute, with full scholarships offered each year to four rising sophomores, each of whom are then invited back with full scholarships for the subsequent two summers. Other university debate camps where our students have obtained scholarships include Samford University in Birmingham, Alabama; Illinois State University; and Indiana University. Chicago Debates encourages all CDL debaters to attend summer institutes by providing information, links, and discounted rates for debate camps across the country. Debating in the CDL introduces our students to local university campuses, while summer debate institutes and regional tournaments give them a chance to experience university settings away from home. Through these experiences, students can make connections with universities, and are sometimes recruited by them. 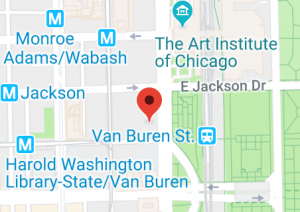 A number of universities provide scholarships for students to be on their debate teams, and Chicago Debates keeps its students informed about these opportunities through the Resources Page. In previous years, CDL students have won debate scholarships to Illinois State University, Trinity University, Northwestern University, Loyola University Chicago, DePaul University, University of Michigan, University of Southern California, Samford University, Indiana University, University of Kentucky, and more. Chicago Debates is also a Posse Foundation nominator, and each year nominates deserving students for consideration for this prestigious and impactful program offering winners full tuition scholarships and an extensive support network for college success.